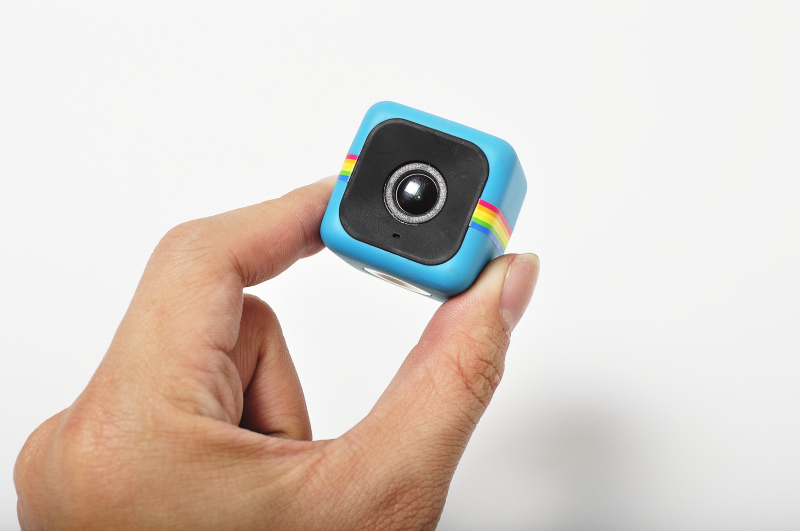 The Cube+ is one-and-one-quarter inches on a side. The very, very tiny instruction page that comes with it has no words, only tiny, tiny drawings. It appears to be some kind of intelligence test. We flunked. Since we couldn’t figure out step one to get the little camera going, we did what we always do in such situations: we went to the web. It seems, you’re supposed to use your smartphone to control the cube and take videos and still shots. But we found this impossible because the app for doing that kept crashing. Also, it’s very difficult to tell if the camera is doing anything or just sitting there. We had ours on a table and could never get a decent video or still shot. The camera has a magnet for mounting on metal. Joy took a long, bumpy bike ride with the Cube on her handlebars. It didn’t fall off, but the magnet was very weak and the camera shook. She wanted to stop the video and start over but it kept going no matter how often she pushed stop. A couple of times the Cube slid around on the handlebars but hung on, pointing at the wheels. Polaroid says you can stick it on your bicycle helmet, golf club, skateboard or anything metal, but aren’t most helmets plastic these days? Ours is. Skateboards are made of wood. And, putting it on a golf club? No way that would stay on the club. So all in all, we decided to use it as a fake surveillance camera. It has a pretty colored band around it, so it’s very noticeable and people will think they’re under observation. Who knows? In a galaxy far, far away, maybe they are.